Why do you need Dual-VoLTE SOCs? It is because the world is moving towards 4G only networks with 5G round the corner. This will mean if you have a dual SIM phone, and want to make use of the network data connectivity on both the SIM cards simultaneously, the best options to go with is a phone supporting Dual SIM Dual VoLTE (DSDV) functionality. More than the phone itself, you will need to give a thought to the processors or SoCs that support the DSDV option. We will check out the options that offer support for such functionality. Besides, we will also attempt in understanding what Dual VoLTE is and how effective it can be. As can be understood based on the name itself, the dual SIM dual VoLTE is the functionality where you will be able to experience the 4G VoLTE connectivity on both your SIM cards simultaneously. This can be explained with an example. Assume you have two 4G SIM cards where one of them offer a 4G only service. In such a case, when you switch to the data network on the non-4G only SIM, the network on the 4G only SIM vanishes. Ideally, most of the phones support 4G connections on any one of the two SIM cards, and not on the two cards simultaneously. This is where Dual SIM Dual VoLTE tends to be of practical use. If you have a phone that supports the technology, you will find that you will be able to use the 4G connectivity on both the SIM cards. This will mean that even when you switch to any one of the data networks, you will continue to get the VoLTE services on the other SIM even without the Internet. Also, it is worth noting the fact that the Dual VoLTE technology provides an enhanced level of HD call clarity. Are there Any phones that support the Dual VoLTE feature? The trend of offering the dual VoLTE connectivity has been in vogue only recently. This requirement was required after the launch of 4G only services by telecom operators. A good example is Reliance Jio in India which is a 4G only network and does not offer any 3G or 2G connectivity. 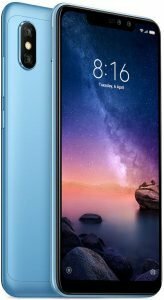 Some of the modern breeds of phones that have begun launching the Dual VoLTE functionality can be summed up as Honor View 10, Zenfone Max Pro M1 / M2, Oppo F7, and Realme 1 to name a few. Please note that the dual VoLTE is a functionality that the SoC or the processor inside your phone should support. Moreover, just because the SoC supports the functionality should not necessarily mean that the feature will be made available on a phone that uses the particular chipset. The OEM may go against the plan and choose not to provide the functionality on its devices. But, on the good news is that the feature can be enabled by merely a software update. 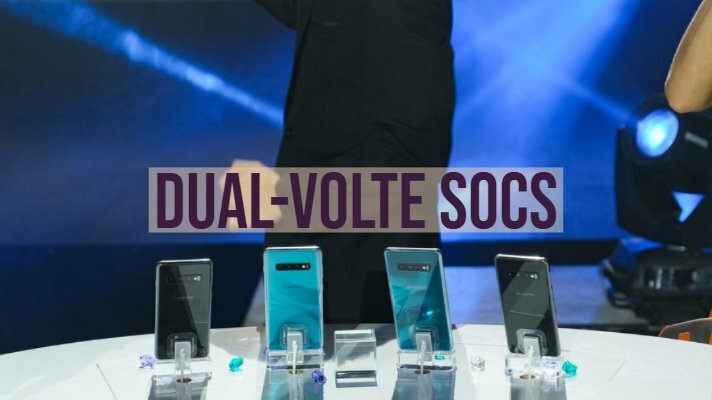 Which Dual-VoLTE SOCs support Dual SIM Dual 4G VoLTE? The recently launched chipsets support the functionality. The SoCs were launched in 2019 and later are expected to come with the functionality to support the Dual SIM Dual VoLTE feature. Here is the list of the SoCs that support the dual VoLTE feature. The Qualcomm Snapdragon 450 is one of the first options to support dual SIM dual VoLTE. While the chipset comes with a multitude of features one of the most important being LTE Broadcast, LTE multimode dual SIM and VoLTE with HD Voice and SRVCC. • An enhanced battery life that promises four hours of additional backup. • It offers you an additional 25 percent hike in the CPU and GPU performance. • The integrated X9 LTE modem provides you download speeds up to 300 Mbps ( Please note that the actual speeds will be dependent upon the actual capacity of your network). One of the prominent 600 series processors from Qualcomm, it comes with a Qualcomm Spectra™ ISP, and a Qualcomm® Kryo™ CPU. Employing the Snapdragon X12 LTE modem, it offers you an excellent download speed. • It comes with Qualcomm Spectra™ 160 Camera ISP and supports up to 24MP single or dual 16MP cameras for enhanced camera performance. • You can ensure faster and consistent connection speeds that offer you a better experience. • The processor also comes with an On Device Artificial Intelligence Platform for the enhanced performance. • The QuickCharge 4 is yet another feature built within the processor improving your power performance when you need it the most. Designed for enhanced user experiences and mobile industry-leading battery performance, the Qualcomm Snapdragon 660 is an excellent option and comes equipped with Adreno 512 GPU. The chipset comes with VoLTE with SRVCC to 3G and 2G, HD and Ultra HD Voice (EVS), CSFB to 3G and 2G and Voice over Wi-Fi (VoWiFi) with LTE call continuity. • It comes equipped with the 14-bit Qualcomm Spectra 160 dual ISP and offers smooth zoom, fast autofocus, and true-to-life colors. • The Adreno 512 GPU offers a 30 percent increase in the performance over the previous generations of the processors. • This processor also comes with the On Device machine learning. • The Qualcomm® Kryo™ 260 CPU provides an outstanding experience provides you a 20 percent hike in the performance when compared to the prior generation. • Hexagon 680 DSP will provide you an enhanced performance and an enhanced battery life improvement. The Snapdragon 845 is the best and the most advanced functionality that you have ever seen on the mobile platform. It offers you every feature that the smartphone world is looking ahead to. An immersive XR experience, a full-fledged personal assistant and advanced security are a few features that make it an excellent option. • Qualcomm® Adreno™ 630 Visual Processing Subsystem erases the thin line between the real world and the virtual world with a truly immersive experience. • The third generation Artificial Intelligence Engine transform your engine into something more true to life XR, gaming, and long-lasting battery life. • You can enjoy the vault-like security for an enhanced experience. • VoLTE with SRVCC to 3G and 2G, HD and Ultra HD Voice (EVS), CSFB to 3G and 2G and Voice over Wi-Fi (VoWiFi) with LTE call continuity. 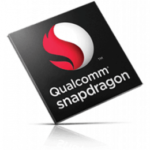 Some of the other Snapdragon processors that support the functionality include Snapdragon 670, Snapdragon 675, and Snapdragon 710. Offering enhanced multimedia, display and photography, the MediaTek MT6737 is an exceptional choice for the devices that are affordable and feature rich. The processor is equipped with quad-core 64bit CPU based on ARM Cortex-A53 and comes with the Mali T720 GPU. • The MediaTek PumpExpress 2.0 is designed to provide access to a faster charging. Focussed on the latest technologies like Artificial Intelligence, latest Mali-G72 GPU and 20:9 FullHD+ display support, the processor is an excellent example of the powerful combination of hardware capabilities. • The NeuroPilot™ intelligence offers you an unprecedented AI experience. The technology is designed to work with CPU, GPU and Mobile APU within the SoC. • The 4G LTE WorldMode modem supports almost all cellular technology standards and frequencies. • You have access to dual SIM dual VoLTE functionality besides the ViLTE functionality as well. Some other MediaTek processors that support dual SIM dual VoLTE features are MT6739, Helio P22, Helio P23, Helio A22, and Helio P70. That is all we have as of now concerning the dual VoLTE feature and the SoCs that support the technology. Do note that just because the processor support the functionality to offer you dual VoLTE feature, it might not necessarily mean that the phone manufacturer have enabled the particular feature on it. 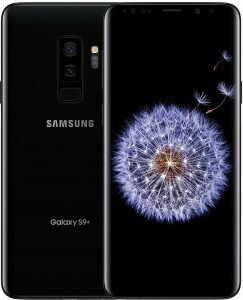 In any case, we expect the smartphone manufacturers to include the functionality in almost all their devices – irrespective of the price range that the phone is marketed at. If you are aware of any other processors with the features included, do share your thoughts and opinions with us through the comments section down below.